The long-anticipated video for the Spice Girls comeback single ‘Headlines’ premiered tonight on the BBC1. For all the hype and whatnot, I think it turned out pretty decent. I’m really anticipating Tweet’s new CD; her first ‘Southern Hummingbird’ rates among my favourite R&B efforts and the second was pretty solid too. Will you be checking for Tweet’s new CD? Jagged Edge Shout-Out That Grape Juice. Click here to listen! Sam: Hey guys, how are you all doing? 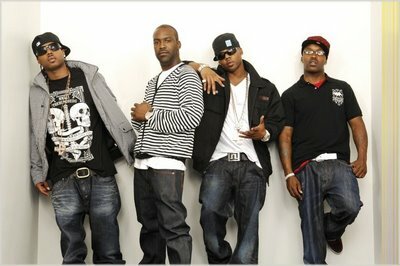 Jagged Edge: We’re doing good, just sitting here chilling in the studio. S: First of all, let me just say that it really is an honour speaking with you guys. JE: Thank you very much, thank you very much. S: It’s been a short while since the fans have heard anything from you; how have you been spending your time away from the limelight? Wingo: Man, away from the limelight is work. Work never stops. We’re in the studio doing what we love. Recording, with our families, eating hanging out…enjoying life. One thing my father said ‘there’s nothing like having a job you enjoy going to everyday’. We go to sleep music, we wake up music. You, know what I’m saying. It is what it is. S: Since hitting the scene almost a decade ago, you’ve maintained a great working relationship with Jermaine Dupri – recently (re)signing with his So So Def imprint over at Island/Def Jam. How did that come about? Wingo: Actually, JD and Jagged Edge are brothers, man. He changed our life by giving us a record deal about 8 or 9 years ago. We’re still here and are just very thankful for it. He taught us a lot and we taught him a lot. We’re like a family – you can’t break a good family apart; It’s very hard to. Different obstacles may come in your way but you just knock them down and keeping it moving. There was some contractual stuff that we were dealing with back at Columbia and with Sony that wouldn’t allow us to be with him. So once we were able to leave, we did. S: Your new album is aptly titled ‘Baby Making Music’ – a collection of ballads. Aside from being renown for your great slow jams, what inspired the concept? Did you have doubts going into this project, after all the group’s up-tempos such as ‘Where The Party At’ have proved equally as popular? Brian: That’s what we do (ballads). Our fans know us as balladeers. That’s where our heart and soul is. As far as the up-tempos – we do it all, all across the board. Saying that, we have a lot of fans come up to us saying ‘we made our first child to your music’ etc so we wanted to give them what they like us for. A child is a great thing. It’s all about pro-creation its how we keep the world moving. At the end of the day, that’s what we’re doing – keeping the world moving (laughs). S: The first single from the album, ‘Put A Little Umph’ In It’ featuring Ashanti has been received really well, how did the collabo come about? Wingo: The twins (Brian and Brandon) did Ashanti’s first demo tape back here in Atlanta and once the idea came up to have her on this record, we were with it. Her work ethic is good. We called her up and asked to be on the record and she sounded good on the record. So it was like ‘Hey, it’s on’. S: What was it like working with her in the studio? Wingo: Actually, we didn’t really get a chance to work with her in the studio. They sent the record to her. She did the record and had it sent back. Brian: She was really easy to work with. Wingo: She’s good people and done what she was supposed to do. S: What other guest features and producers are featured on the album? Brandon: Jagged Edge and Jermaine Dupri – that’s it. That’s another reason why we got back with Jermaine, because he respects our creativeness and we respect his. At the end of the day, we did half the album, he did half the album. We let him know what we wanted going into the project and he respected that. He loves our work just as much as we love his. S: What have you been doing in-between recording the album and after? Brian: We’ve been out on the road, doing a little promo, getting our relationship back established with radio, TV and with you guys – it’s going down. We’re here, we ain’t going nowhere. S: Have any personal favourites emerged from ‘Baby Making Project’? Wingo: My favourite the first single ‘Put a Little Umph In It’ because it’s straight to the point. You know when you get with that one you love; she ain’t going to be expecting no slacking. You gotta be a man (laughs)..put your back into it. S: Ten years deep, you’re one of the only active R&B groups still around; what do you think has been the reason for your staying power? Wingo: Our love for music, our love for what we do. As I said, Jagged Edge, we go to bed music, we wake up to music. That’s it. Everyday of our lives it’s music. When you love what you do, you’re not going to let anything deter you from it. You might get upset about a few situations and stuff like that. But the overall picture is music, we’re here to do music. Our fans love us for our music. S: Despite achieving a high level of prominence, you’ve seemingly managed to stay out of the tabloids etc; how has this been so? Brandon: We do not try to invite negative energy. We see them stories etc and we try to separate ourselves from it. We do ourselves: Jagged Edge. Wingo: We don’t try and be with the ‘in’ crowd. We are the ‘in’ crowd. 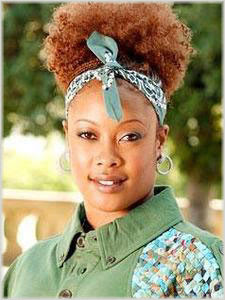 S: Speaking of rumors/gossip, Brian – for the record – what was the situation with you and LeToya? Wingo: That was old. That was an old flame. They hung out for a while and that was that. Wingo: Nothing more, nothing less. S: Who have been your musical influences? JE: Everybody from the Tempations, to The Four Tops, Commondores, Lionel Richie, Marvin Gaye, Donnie Hathaway, New Edition, KC & Jo Jo, Jodeci, Gerald Levert. Everybody. We love music. If it’s done right and put together well, we like it. S: With Nas proclaiming that ‘Hip Hop Is Dead’, what are your thought’s on the current state of R&B? Brian: Current state of R&B? I think R&B is doing alright, straight up. I mean Usher came out with an album a year or two ago and sold 1.2 million or so in a week. You still have R&B artists selling half a million albums in a week. Mary J just came back and did over 700,000 and some change. We’re R&B. So R&B hasn’t died out too much – that’s my opinion. S: Do you feel the Internet has made a positive or negative impact on the music industry? Brian: it makes more accessible, but no one’s paying for it. Wingo: It’s now become a easier to get it for free. We’re in the business to sell records. S: Do you think it was a boast to help your careers now, compared to the earlier stages? Brandon: I think when you use it the right way, like Myspace and different websites, it can help to profile all the way. But when you have people who just use the internet to rip your music, that isn’t no help no way. – Current artists you’re feeling? – Can Michael Jackson make a big comeback? Wingo: all he has to do is get a song from Ne-Yo (all laugh). One song from Ne-Yo and he’s back! – Beyonce or Kelly Rowland? JE: Both of them. We have relationships with them, we used to tour and travel together. That’s our people. S: When the dust has settled, how do you want Jagged Edge to be remembered? Brandon: Man, put us up there with all the great groups, that’s how we want to be remembered. Like a star on the walk of fame, rock hall of fame. All that stuff. I think for some people, when you first get into the game all those things seem like they’re so far away. But in 10 years, we gotta be close. We closer than ever (laughs)..closer than a lot of others. S: Do you guys have any message for the fans? JE: We love our fans. We gonna be here. We’re not going anywhere. Continue supporting us. S: Thanks for taking time out to answer our questions; it’s very much appreciated. Good luck with the project. ‘Baby Making Project’ Is Out Now! Go Grab A copy. With the news last month that Timbaland had been enlisted to produce the majority of the album, this new info is hardly surprising. I feel the whole switching up of her sound as being much needed. Here’s hoping she doesn’t stray too far from her current sound, as, for all it’s shortcomings, ‘B’ Day’ had a few solid tracks i.e. 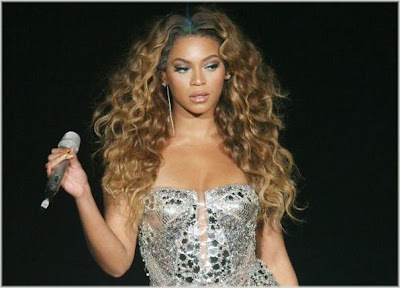 ‘Get Me Bodied’ and ‘Upgrade U’. While R&B songstress Brandy continues work on her 5th studio album, an unreleased track of hers has surfaced. At time of writing, it’s unknown the origins of the track and whether or not it’ll feature on the new release. About the track, I’m really feeling it; Brandy’s harmonies are as-ever on-point and the production isn’t bad either. Brandy’s currently untitled new LP is set to be released next year. “According to witnesses, after the pushing, the waitress walked away, and a short time later, that’s when Harris picked up a bottle and hit the waitress in the face with it,” Parish said. Parish said the rum bottle broke, causing a “deep laceration” to the 23-year-old woman’s cheek. The waitress also had swelling to her forehead, and was taken by friends to a local hospital. Haven’t heard from ‘Brat tat tat’ in a minute and now this. A mess. R&B star Chris Brown has stormed to the top of the Billboard Hot 100 chart with current single ‘Kiss Kiss’. The song, which features T-Pain, has seen a steady increase in digital downloads which allowed for it’s move into the top spot from #2 the week prior. Brown’ new album ‘Exclusive’ hits stores November 6th. This must come as a relief to his camp, as there inevitably would have been alot of worry after the first single ‘Wall to Wall’ pretty much tanked. Though ‘Kiss Kiss’ is an improvement on that track, I’m kinda surprised why the label went with both songs as singles as there is better material on the album. Be on the lookout for a review of ‘Exclusive’ later this week or early next. 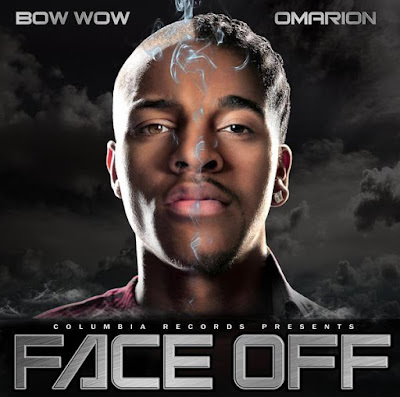 The video for the first single from Bow Wow and Omarion’s joint album ‘Face Off’ premiered yesterday. Considering I had my preconceptions about the album, I must say that I am liking this song and video; nothing great, but still pretty good. ‘Face off’ hits stores December 4th. Check out the exclusive cover of Mary J. Blige’s eagerly anticipated new album ‘Growing Pains’ which is set to be released on December 11th. Mary looks great! It was announced a couple of months back that rapper Bow Wow and R&B singer Omarion are set to release a collaboration album titled ‘Face Off’ on December 4th. The cover art for the CD has just surfaced and I must say that I’m liking it – the split face effect is kinda cool. There is potentially a feature with the guys on the site soon, so watch this space. MTV News caught up with 50 Cent and Akon on the set of the G-Unit leader’s latest video ‘I Still Will’ – also known as ‘I Still Kill’ from the ‘Curtis’ album. Be on the lookout for the Jessy Torrero directed video in the weeks ahead. June's Diary deliver dynamite performance!